INSTITUTE for searching and creating SOLUTIONS in the field of Joint Intelligence, Surveillance and Reconnaissance (JISR) capabilities for Military and Civil State organisations. 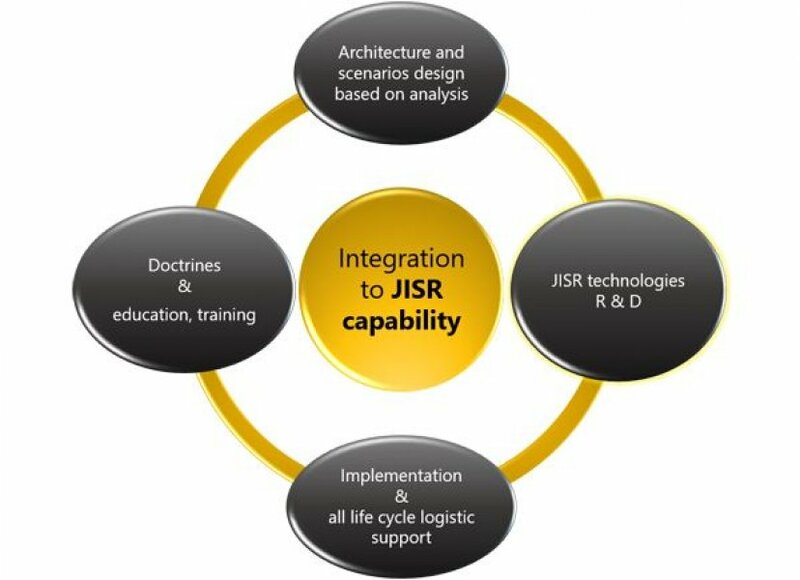 JISR Institute, a.s. (PLC) can provide tailored solution for different missions and tasks for customers – army special Joint ISR and EW teams. JISR Institute provide special technical, tactical and operational training on different ISR and EW systems as well. We can even "rent" operators in special cases. In other words, we do turnkey solution, which can be long-term (education, training) or shorterm (particular mission, for example building up the ISR system for army abroad missions etc.). Institute works on "subject matter experts" principle. Most of those experts are former ISR and EW officer with experience from abroad missions. Analyse Your requirements and environment by team of Subject Matter Experts (SME) with rich experiences. Design and deliver operational and technological solutions customized in accordance with Your requirements. Provide open interface for integration Your earlier established systems and for integration systems established in future. Cover needs of complex training and preparation. Secure special technologies life cycle at end user. Introduction of the JISR Institute as a PDF.